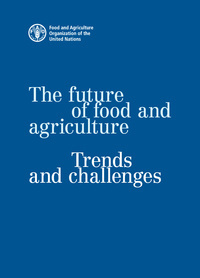 After shedding light on the nature of the challenges that agriculture and food systems are facing now and throughout the 21st century, the study provides insights into what is at stake and what needs to be done. “Business as usual” is not an option. Major transformations in agricultural systems, rural economies and natural resources management are necessary. The present study was undertaken for the quadrennial review of FAO’s strategic framework and for the preparation of the Organization Medium-Term plan 2018-2021.